Dr. Peggy Root Kustritz is a 1987 graduate of the University of Minnesota College of Veterinary Medicine. After working in small animal private practice in the Twin Cities for several years, she returned to the University of Minnesota, completing a residency in theriogenology. She achieved board certification in theriogenology in 1994, completed a PhD in theriogenology in 1995, and a Masters in Medical Education in 2015. 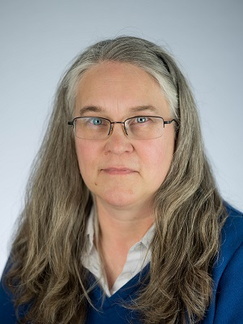 She currently is employed as a professor in small animal reproduction and also serves as Assistant Dean of Education of the University of Minnesota College of Veterinary Medicine. She is the author of several veterinary texts and one text for dog breeders and is a frequent speaker for lay and veterinary audiences. Larson C, Root Kustritz MV. Does intranasal vaccination with Bordetella bronchiseptica vaccine create false positive results on Rapid Slide Agglutination Tests used to detect Brucella canis infection in dogs? $10,567. AKC ACORN grant, 2011. Root Kustritz MV, Rice R. Evaluation of parameters for canine breeding management using banked serum. $9562.50. Society for Theriogenology Foundation, 2011.